Did you happen to check out People magazineâ€™s February 2014 story about Mila Kunis and Ashton Kutcher? It seems that the powerful celebrity couple knows a beautiful piece of Sea Island, Georgia, real estate when they see one. Both stars were on the island in February to attend a loved oneâ€™s wedding. While here, Kutcher even took to social media and extolled the virtues of our South Georgia paradise more than once. Of course our Sea Island, Georgia, real estate agents werenâ€™t surprised that the celebrated couple found the island so beautiful. Over the years, our lovely stretch of sand has hosted many bridal couples and wedding parties. Some of the most famous ones have been politicians. 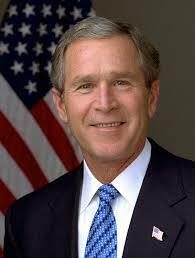 For instance, former U.S. President G.H.W. Bush and the First Lady have been to the island many times. They spent their honeymoon here and their 50th wedding anniversary, just to name a few. The list of other powerful Presidential couples to have visited includes Mr. & Mrs. Calvin Coolidge, Mr. & Mrs. Dwight Eisenhower and Mr. & Mrs. Jimmy Carter. Sea Island, Georgia real estate has also attracted famous couples from foreign shores too. That list includes, but is not limited to, Mr. & Mrs. Prime Minister Tony Blair, Queen Juliana of the Netherlands and her spouse, Prince Bernhard. They all undoubtedly enjoyed their time exploring the island. Like the power couples that visited before them, Ashton Kutcher and Mila Kunis didnâ€™t spend all of their time in one spot either. Kutcher took a page out of former U.S. President Gerald Fordâ€™s book and went golfing. Kunis, on the other hand, hit the stores with her purse in hand. And who could blame her. Our island is home to many beautiful boutiques and so much more. To see firsthand what compels power couples like the ones weâ€™ve mentioned above to set foot onto Sea Island, Georgia, real estate, please contact us. Our real estate agents would be overjoyed to show you whatâ€™s to love about our area.